64 Knightsbridge is a building with an impressive heritage. 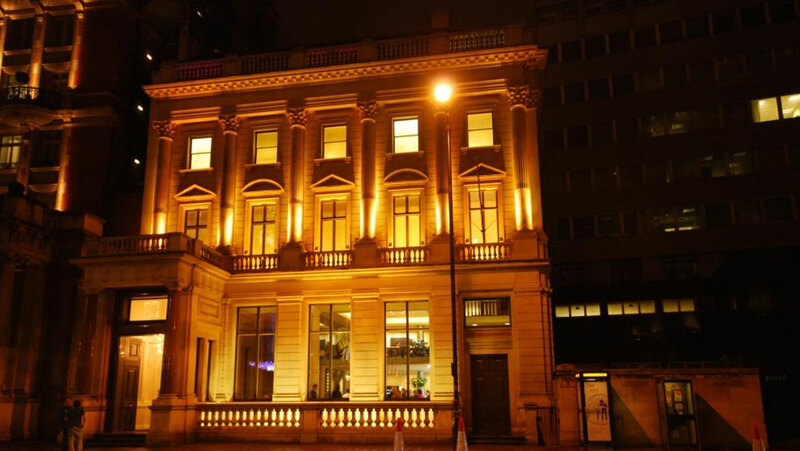 Before its refurbishment it housed London’s oldest foreign club, the Danish Club. Yet today, behind the beautiful classical facade lies a centre for international business that boasts designer fittings and artworks as well as the latest in business technology. In developing 64 Knightsbridge, the original architectural features have been retained and complemented by luxurious and stylish designer furnishings, fixtures and fittings. The result is breathtakingly modern, with age old integrity. 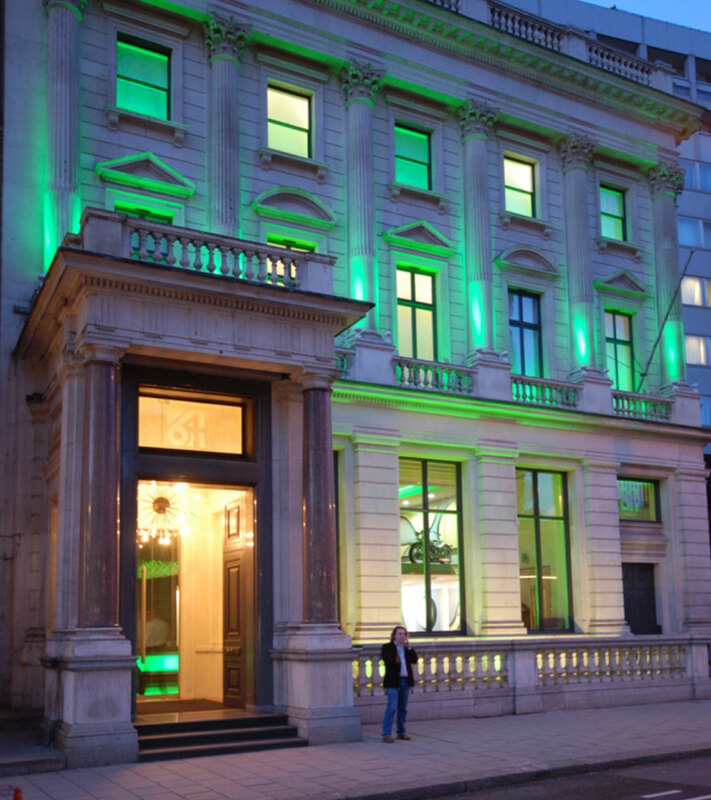 Light IQ designed the lighting for the façade and the interior reception areas. The client’s brief was for a bold and unique scheme. 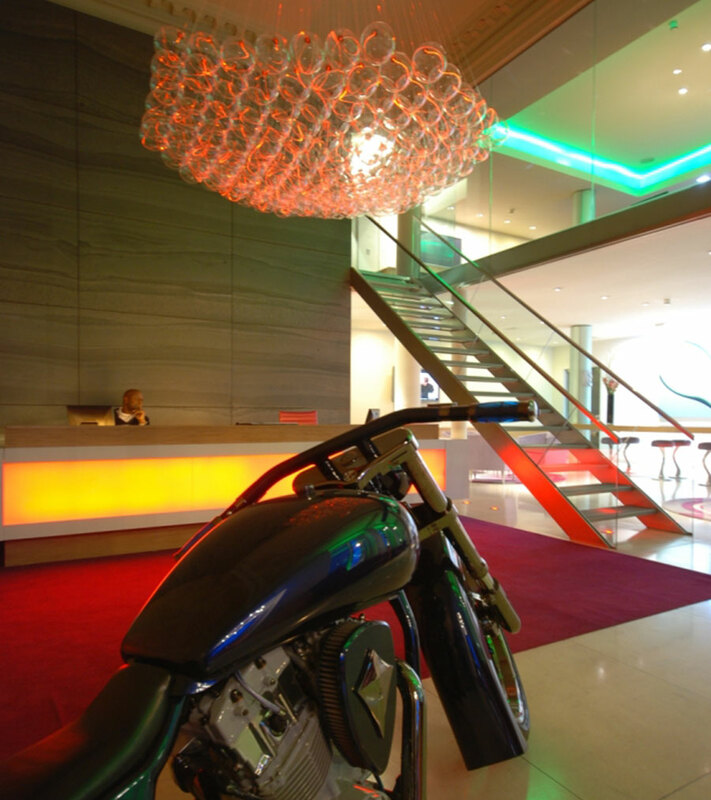 With the double height entrance, viewed both from the reception area and mezzanine office a dramatic chandelier was required to fill the void and tie-in the drama of the exterior scheme. 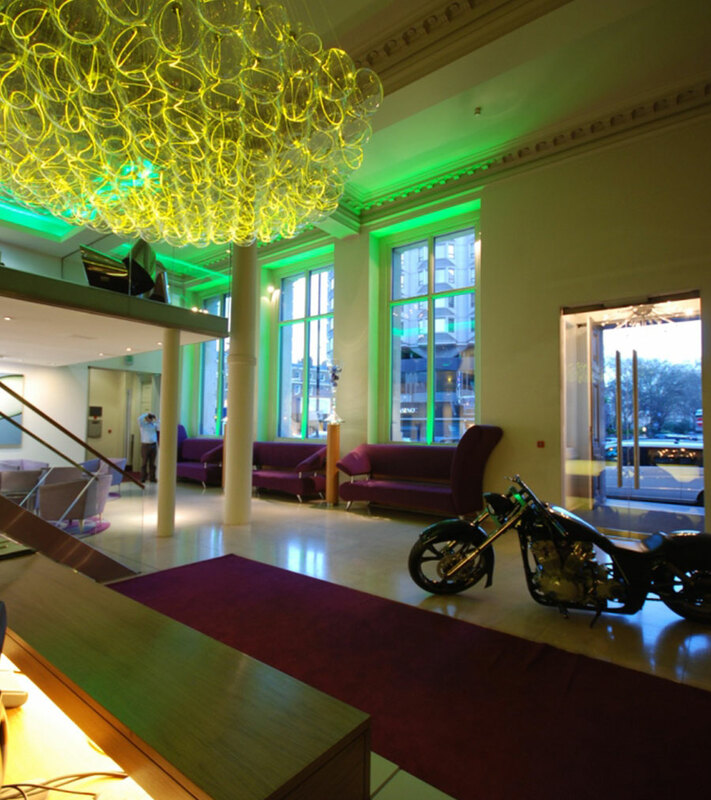 ’Light IQ’ worked closely with ‘Bruce Munroe’ to produce a unique chandelier, the fibre optic balls of glass change colour in sequence with the exterior columns, window reveals and façade. The concept design stages included detailed colour renderings, mock-ups and site tests for client approval. Detailed drawings, photometrics, product specification sheets and installation manuals ensured a seamless integration. 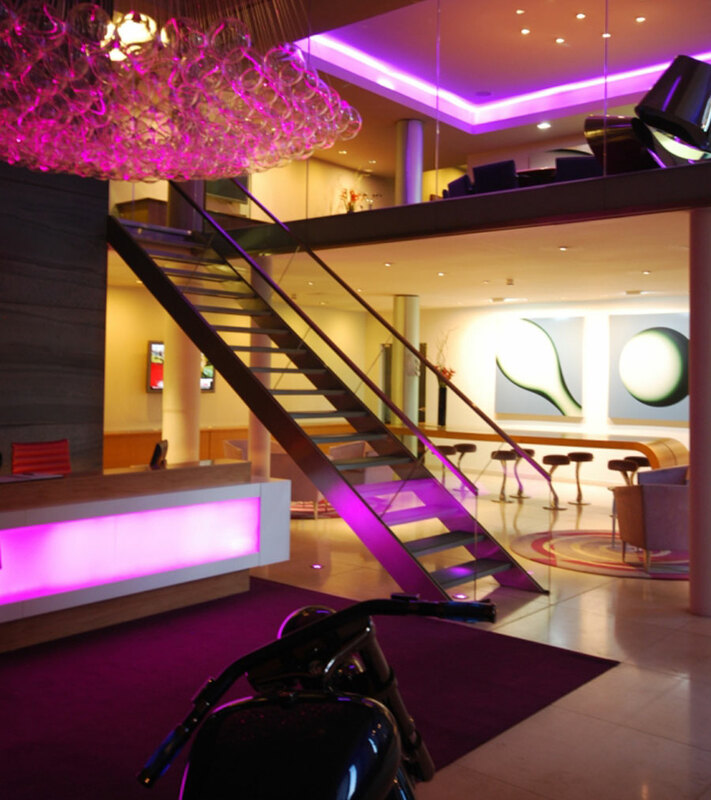 Ease of control, through wifi ensures Reception can adjust the colours or sequencing easily through their laptop. The clients wish to place the building firmly on the map, to create a fun and stylish work place that buzzes with activity has been achieved.